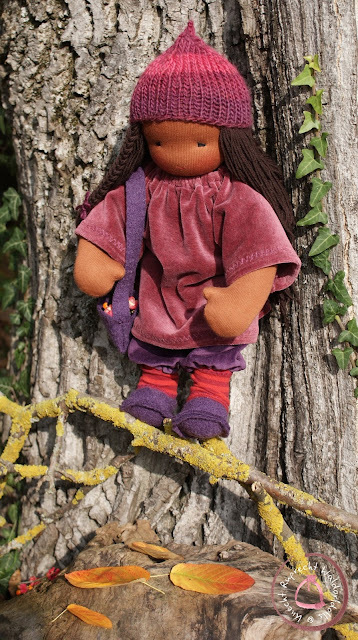 All Knecht Ruprecht Dolls are individual handmade in Austria with love and great attention to detail. Only the most exquisite materials made from all natural fibers and organic materials where possible are used. 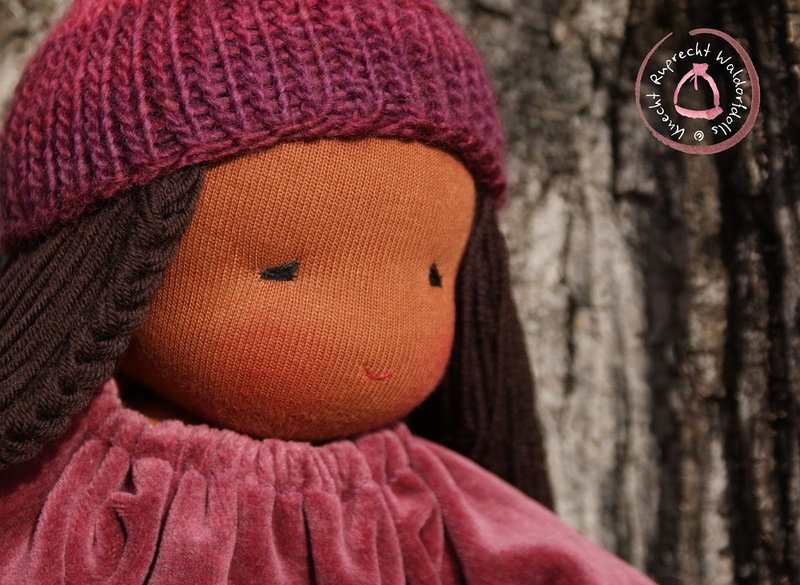 Heads and bodies are sculpted in the traditional Waldorf style and all facial features are hand embroidered. Knecht Ruprecht Companion Dolls have a simple bottom, simple hands and feet. 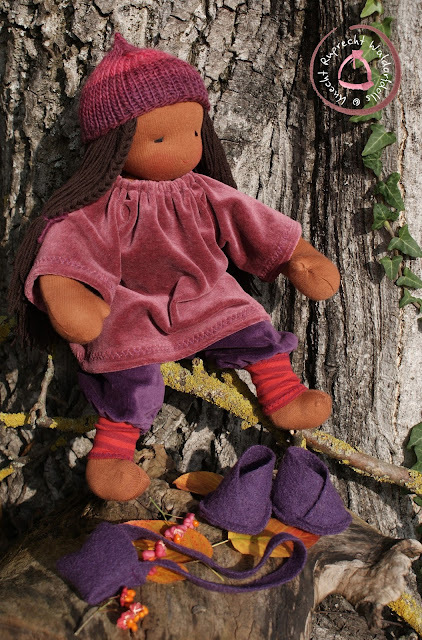 Arms and legs are moderately curved, freely movable, allowing natural postures. 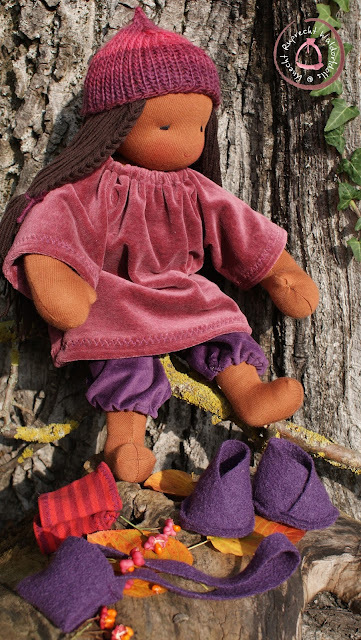 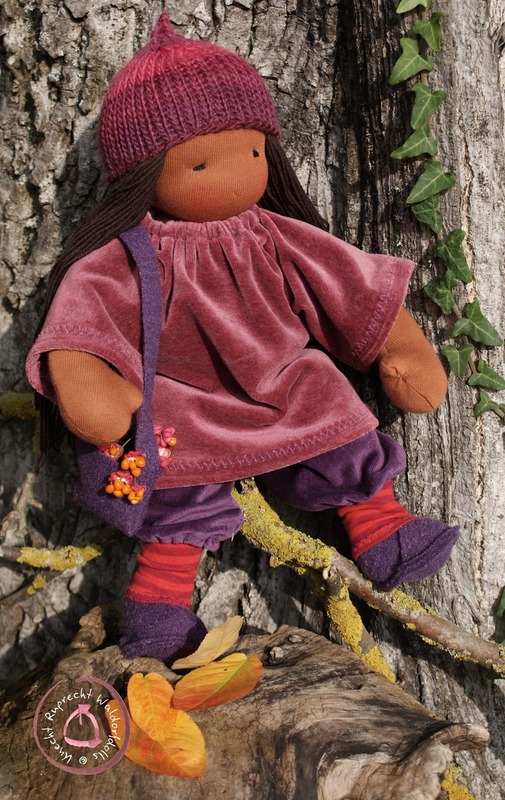 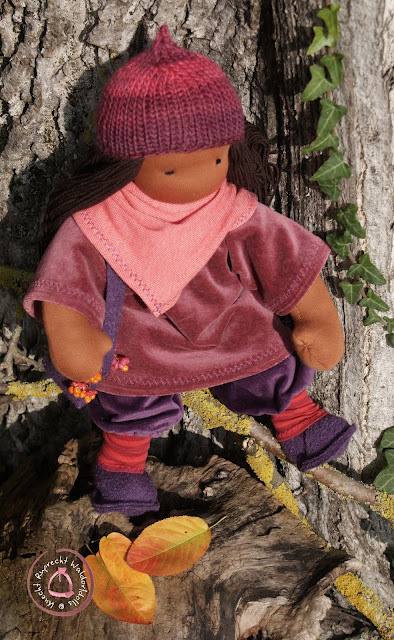 All Knecht Ruprecht Companion Dolls are soft to the touch and stuffed firmly with 100% organic washed and carded wool. The hair of this doll is made of 100% extra soft Merino yarn.